Pioneering modern design by designer Richard Hutten. 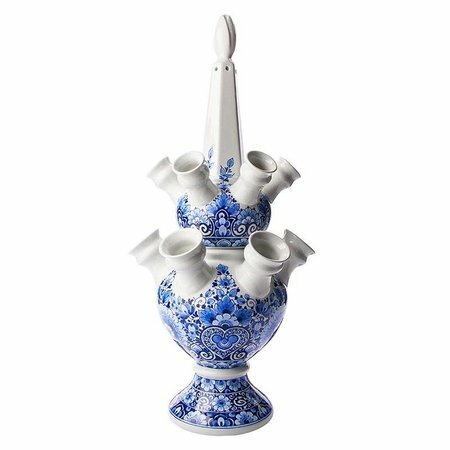 The Delft Blue art object Stapel Blauw that Richard Hutten designed for Heinen Delft Blue stands out for its size (1.5 meters high) and the challenging design. 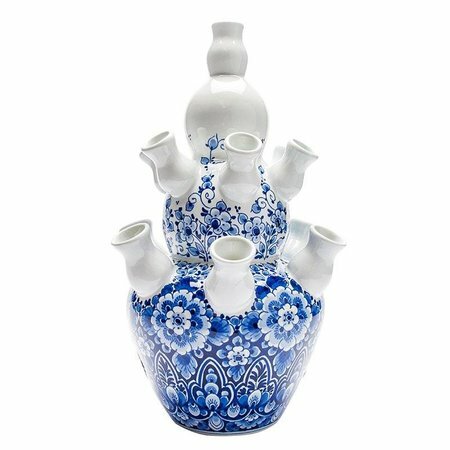 It is made up of six separate objects, each with its own shape, atmosphere and story. Together they form a stunning example of modern design. "Stapel Blauw is a layered design in which each sub-object tells its own story and all those stories come together in the total design. 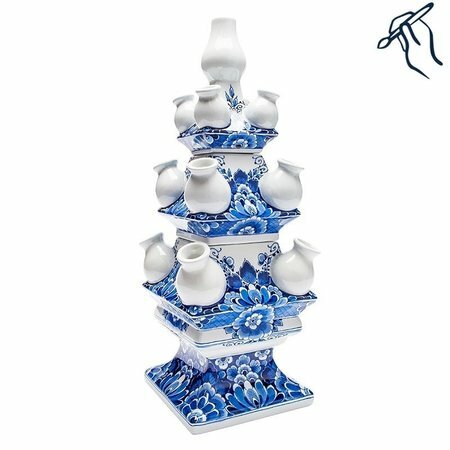 Heinen Delft Blue asked me to get started with the theme 'farm'. 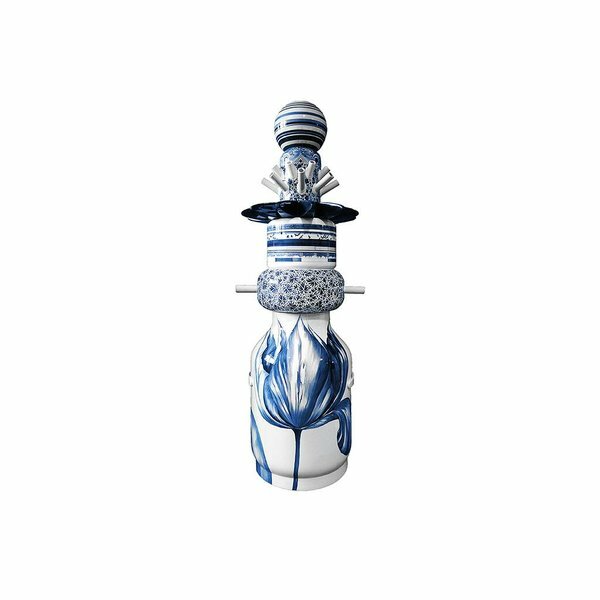 As a boy I regularly walked around on the my uncles' dairy farms, so I came up with the idea of styling a 65 cm high milk can as the basis for the Blue Stack.I used all the features, such as the handles of the milk can lid, and chose a large image of a tulip from the collection of the Rijksmuseum. " 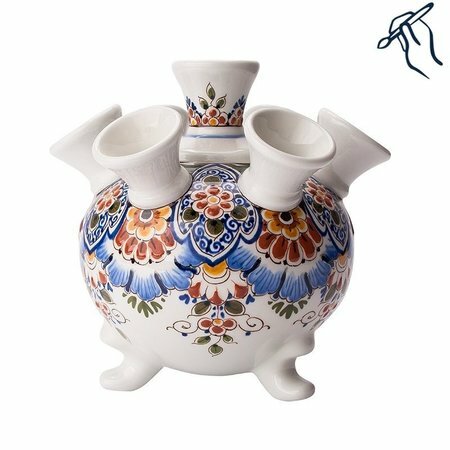 "On top of that is a stylized shape of the milk sieve, followed by a modern, cylindrical object with ceramic udders that appear when you lift the object out. That creates a funny surprise effect. An abstract, dark blue wildflower rests on it. 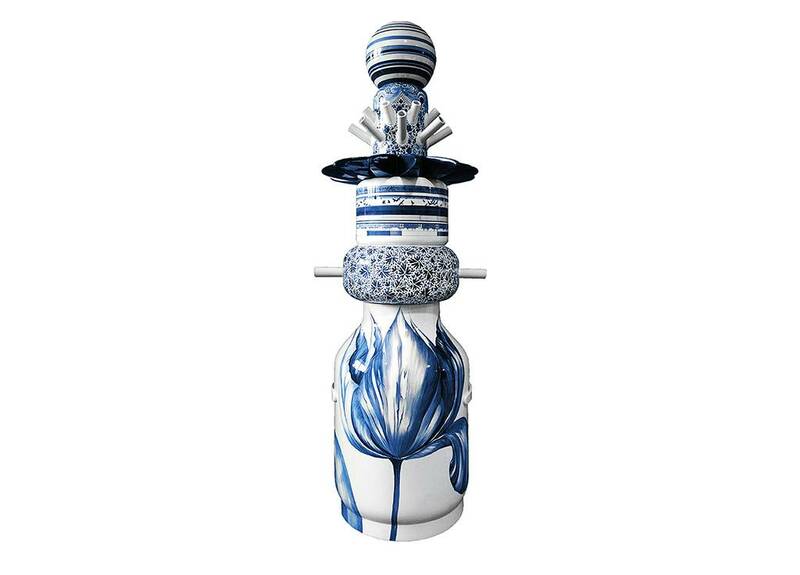 If you lift it, The paint seems to drip from underneath, a contemporary version of the 17th-century tulip vase is flaming over the wildflower, but the decoration is traditional, with a spherical shape at the top, with lines of various shades of Delft blue. 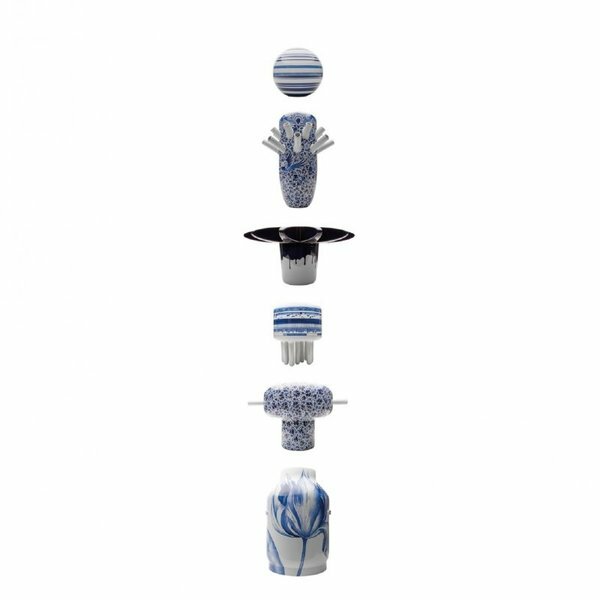 "New Blue" series by Heinen Delft Blue. The lines are at the same height, which ensures a continuous landscape. "